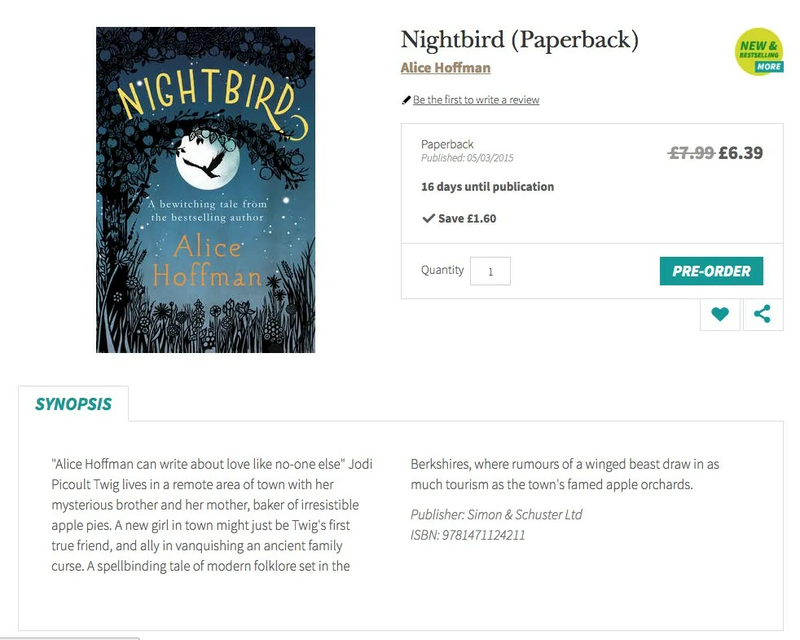 It was fantastic to see the hashtag for this prize (#WCBP) trending on Twitter yesterday – testimony both to the level of interest the general public now gives to children’s books and the push and publicity that Waterstones has brought to this signficant award. Rob Biddulph was announced as the overall winner of the Waterstones Children’s Book Prize at the booksellers’ Piccadilly HQ with his picture book, Blown Away! The Waterstones Children’s Book Prize is now one of the biggest children’s book awards in the country. There are three shortlists for the Best Illustrated Books, Best Fiction for Teenagers and Best Younger Fiction, with category winners as well as an overall winner. Every one of the winning books’ Amazon reviews is a 5-star recommendation. Rob Biddulph is art director for the Observer Magazine and a winner of the PPA Designer of the Year Award. Blown Away is published by HarperCollins. The Waterstones Children’s Book Prize Prize champions new and emerging talent in children’s books. It has been running for 11 years and this is only the second time a picture book has been selected as the winner. 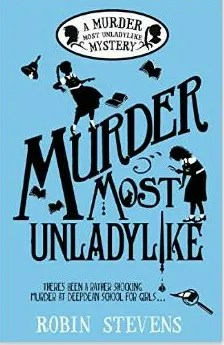 The winner of best young fiction category was Robin Stevens with Murder Most Unladylike, the first in the author’s series of boarding school mysteries, featuring schoolgirls Daisy Wells and Holly Wong of Deepdean School for Girls. The second Wells & Wong Mystery, Aresenic For Tea, was published in January and the third, First Class Murder, is due in July. The books are published by Corgi. Stevens has a very serviceable responsive website, with some interesting author facts on the About Me page. The winner of the teenage category was Half Bad by Sally Green, the first title in a series that Penguin have high hopes of becoming a franchise in the style of The Hunger Games. 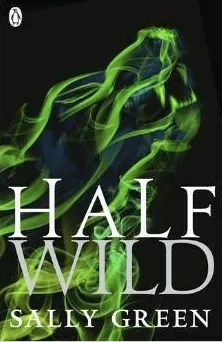 The momentum is building well and the second title in the sequence, Half Wild, has just been published. The other titles on the shortlists, which included recent YA Book Prize winner Only Ever Yours by Louise O’Neill, were well-chosen and superbly presented and publicised by Waterstones. 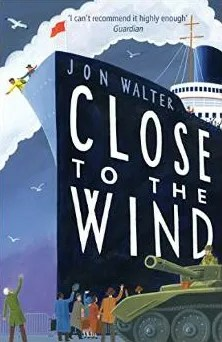 The one book that I feel has been strangely overlooked by this award, and by the other prize that focuses on emerging talent, the Branford Boase Award, is Close To The Wind by Jon Walter (published in hardback by David Fickling Books last summer and now available in paperback), a novel that I continue to enthusiastically recommend whenever the opportunity arises. 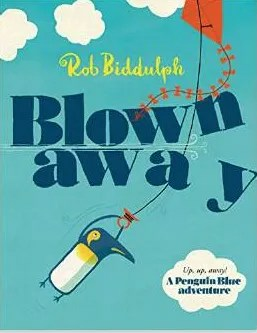 via Rob Biddulph’s ‘Blown Away’ wins the 2015 Waterstones Children’s Book Prize | Waterstones.com Blog. Waterstones’ flagship Piccadilly store is expanding its children’s section after a sales increase of 20%. London regional manager Luke Taylor said the company decided to re-think the space after “the recent explosion in children’s sales”, driven by reference, games and educational related products. The children’s area will take up two-thirds of the second floor and will include a bigger picture book and board book range, a new YA space with crossover titles like Harper Lee’s To Kill A Mockingbird, and an area for related products such as party packs and toys. 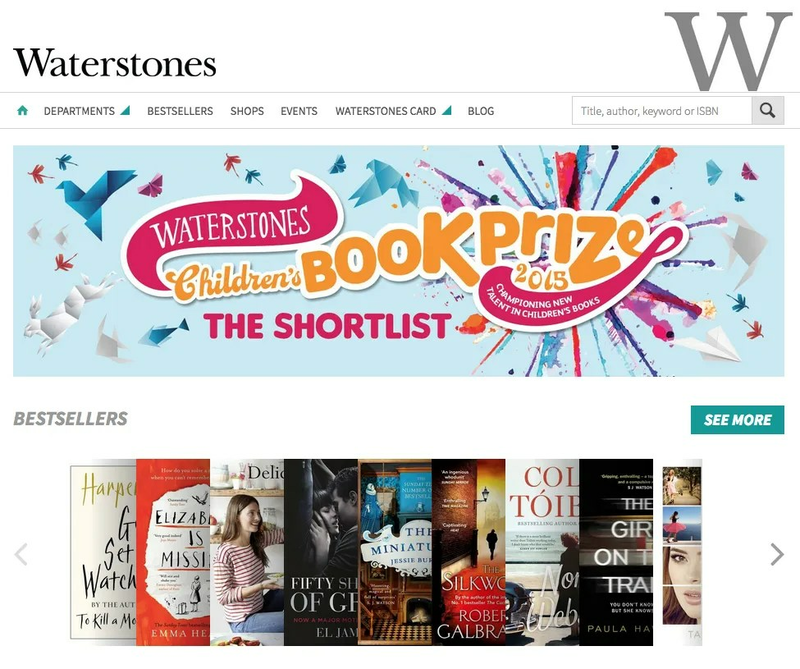 via Waterstones Piccadilly expands children’s section | The Bookseller. At long last Waterstones has a website worthy of a big bookselling retailer. The new look/design is a huge improvement on the ‘pathetic’ [Daunt’s own description] previous offering. The site is beautifully ‘responsive’, making it user-friendly on whatever device you’re using. The landing page is crisp and clear. And the navigation tab opens up to show a full listing of the online shop’s different ‘departments’. I would like to see more detail on the individual title listings. The Publisher and ISBN should be included in the box that shows the price, rather than underneath the synopsis. And also in linking to other editions. But all good websites are works in progress and I’m sure Waterstones will want to make improvements in its listings design in the weeks and months ahead. What the site does really well is promoting its John Lewis style Click-and-Collect service. A good deal of thought has clearly been given to making the website a user-friendly experience for this type of buying. In most cases, the online price will be lower than the store price. How well this works out in practice will be a determining factor on customer satisfaction. It does mean that individual stores will need to be very on top of their stock audits and that this information will need to be updated to a central database. I assume that this will be done through the till, at point of sale. It is not altogether clear whether the click-and-collect service will apply to same day purchases. It’s been a time a-coming, but on the whole then, an extremely promising relaunch. The UK’s leading high street bookseller said that sales of the Kindle ebook reader had plummeted this Christmas as a physical books market battered by ecommerce showed signs of improvement. Waterstones said that sales of Amazon’s ebook reader had “disappeared to all intents and purposes”. The lossmaking chain of 290 bookshops had previously touted Kindle as the way to “solve the digital question” in 2012 when it launched a partnership with Amazon to sell the devices. However, physical book sales at Waterstones rose 5 per cent in December as the company reaped the benefits of its store refurbishment programme and a relinquishing of control to local store managers who could respond to the tastes of local communities, said James Daunt, chief executive. Foyles, the London chain of bookstores, said like-for-like sales of physical books had risen 11 per cent this Christmas. Sam Husain, chief executive, said sales of Barnes & Noble’s ebook reader the Nook were “not as impressive as one would expect them to be” and that physical book sales had outperformed ebooks. via Waterstones plans more stores as book sales rise – FT.com. So bookshops are surviving on mugs, wrapping paper, cards… ‘There isn’t a bookseller in the world that doesn’t sell stuff that isn’t books.’ He leans in. ‘Booksellers have it really tough in this country. I think we’re in the worst position in the world. We have Amazon, Kindle and fierce price competition with supermarkets and we don’t have any of the protection that booksellers have in the US and Europe. And we pay huge taxes through business rates. I’m in the tax brigade. We have responsibilities to the society in which we live and one is paying tax.’ Unlike Amazon… ‘And many other multinationals who do everything they can to avoid it.’ Amazon’s controversial Luxembourg registration, which entails five per cent tax or less, is coming to an end next year. ‘It’s already achieved its purpose, which was for them to achieve market dominance,’ Daunt shrugs. He’s too busy to lobby. He’s hoping to get Waterstones back into airports when BAA’s contract is up for tender. via James Daunt: the man who saved Waterstones – ES Magazine – Life & Style – London Evening Standard. The discovery of talent via YouTube, a resurgence at Waterstones, the long-running Amazon/Hachette terms dispute and the thinning out of independent publisher numbers were among the significant developments in 2014, according to prominent figures in the industry. via What the industry learned in 2014 | The Bookseller. The winner will be announced on Tuesday 2nd December – but in the meantime here’s a look at each of the shortlisted books. This book is a manifesto for change; a ground breaking, anecdotal examination of sexism in modern day society. Everyone has a tipping point – and at her’s, Laura Bates decided to launch the fourth wave of feminism. An atmospheric literary thriller set in seventeenth century Amsterdam. Written by actress-turned novelist Jessie Burton, it was our Fiction Book of the Month back in July and is the best-selling debut novel of the year. Man Booker Prize winner The Narrow Road to the Deep North is not just a war story (dedicated to his father who was a prisoner of war) but a love story. Hailed as a masterpiece, Richard Flanagan‘s epic novel tells the unforgettable story of one man’s reckoning with the truth. A celebration of the food and flavours from the regions near the Southern and Eastern shores of the Mediterranean Sea. A beautiful book that has already been named Observer Food Monthly’s Book of the Year.Try Sabrina Ghayour‘s take on Eaton Mess to see for yourself. The letters of our alphabet work tirelessly to make words that in turn make stories, but what if there was a story FOR each of the letters instead? A work of exhilarating originality from artist Oliver Jeffers that is packed with funny, thrilling, perilous and above all entertaining tales inspired by every letter in the alphabet. A hope-filled collection of essays and stories from Marina Keegan, who died in a car crash five days after her graduation from college in America, that articulates the universal struggle of working out what we aspire to be. This year’s Samuel Johnson Prize winner, H is for Hawk is a record of a spiritual journey. An unflinchingly honest account of Macdonald’s struggle with the grief of losing her father, and her attempts at catharsis through the difficult process of training a goshawk. Woven throughout the story is Macdonald’s retelling of author T.H. White‘s own attempts to train a hawk. It’s a book that is as hard to explain fully as it is to forget. A thought-provoking, brilliant and much-talked about economics book – and that’s not a common combination.Capital in the Twenty-First Century – nominated for this year’s FT and McKinsey Business Book of the Year – reorients our understanding of economic history and confronts us with sobering lessons for today.